What is so special about Febraury 14th? What makes it so romantic and bountiful of affection? To be honest, love must be in the air and we don't know what causes it. As your Valentine's Day Florist we know it isn't simply for those in romantic relationships. This special holiday is not only about Valentine's gifts and flowers. It is about companionship and friendship. In the Greek language the word love has 5 different meanings. The top three meanings are in relation to God, romantic love, and a love based soley on friendship. Friendship stems from friends, family, and even co-workers. Not all gifts are the same. Some valentine's carry more weight than others. Gifts of material items are powerful and may convey the wrong message. 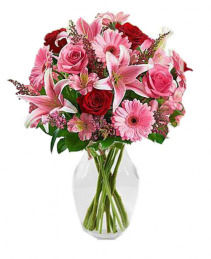 Dates and cards may be rough around the edges if you are unsure of where you stand with that special person or just want a nice gesture to show you care. 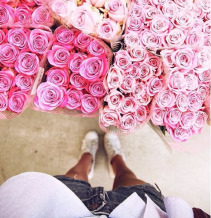 Flowers are a treasure with multiple meanings. Contrary to popular belief. 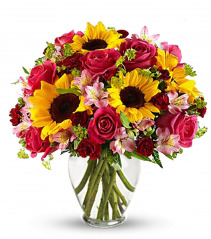 A flower bouquet is the perfect gift for lovers or friends. Flowers arranged for that special person goes a long way. Scared you will send the wrong message or don't know how to ask that person out for a date? Write your very own card message to assume predictability. 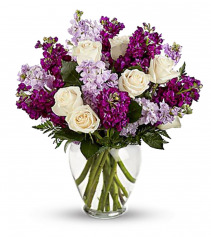 Sending flowers shouldn't be stressful. They should be as easy as 1, 2, 3! 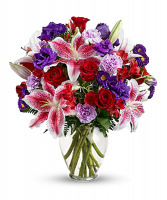 Valentine's Day flower delivery is our game. Many send gift baskets full of chocolates, but the majority send a dozen red roses to signify love and adoration. We only use long stem roses from Ecuador as they serve as the premiere rose in the nation. 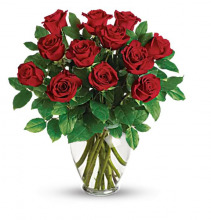 The classic Red Rose Bouquet starts at $65. 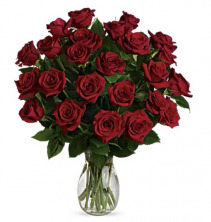 A Dozen Long Stemmed Red Roses are the premiere choice for lovers. 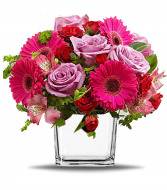 Valentine's Day also serves as a great time for an anniversary flower arrangement. Many of our customers proposed or asked their significant other to be theirs on the beautiful holiday. 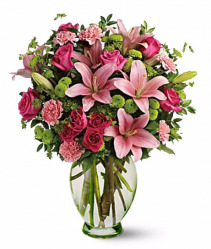 Prices range from $20 a bouquet to over $400 to $500. Roses for Valentine's day seems to be the most commonly understood flower. There are plenty of other choices people are selecting this upcoming year. The Calla lily is becoming very popular along with lilies, tulips, pink roses, hydrangeas, and carnations. 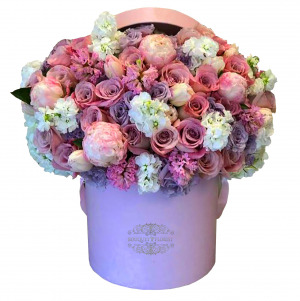 Peonies are also making a rise in the ranks of flowers delivered. 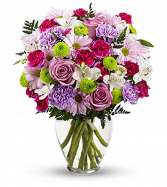 Mixed bouquets are another fan favorite. Customers often give us the ability to design what we think should be sent for the occasion of Valentine's Day. 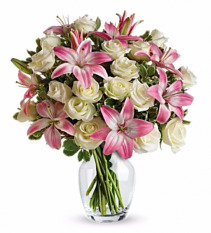 For example, for an Anniversary we traditionally send Roses mixed with lilies. 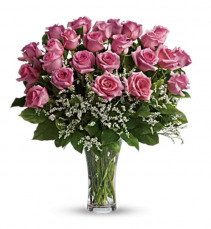 A dozen long stemmed roses conveys the love meaning and is straightforward. Others love to order lily bouquets with either white or pink lilies along with gerbera daises. 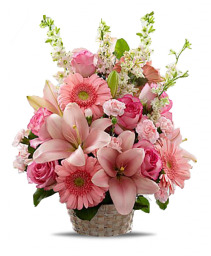 Mixed bouquets for a mother are an amazing gift for kids. 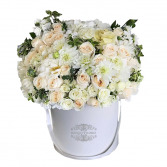 Peonies and Rainbow Roses are the exotic choice that are bound to turn heads upon delivery. 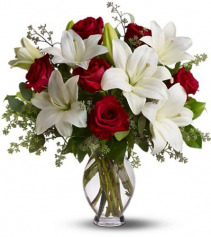 Hand delivered flowers bouquets to work wow and astonish the co-workers of your lover. Whether we are using red roses, pink roses, or any other floral choice we will design an arrangement unique to your cause. Luxury bouquets are our specialty. 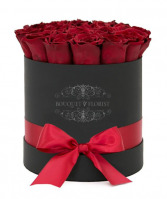 Our famous Valentine's Day Flower boxes are the new hot trend. Some may call it a hat box, gift box, or flower box. As seen in Los Angeles and Beverly Hills, these hat boxes are flying off the shelves as they are seen on TV in shows such as the Housewives. These flowers for Valentine's are a fan favorite! 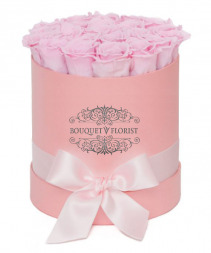 We offer gift sets of flowers and chocolates. Although we do not offer chocolate covered strawberries, we do work with the prestigious, Award-Winning Cookie Shoppe located in Riverside, CA in the Brockton Arcade. Along with chocolates, we also offer teddy bears and balloons to match the holiday. 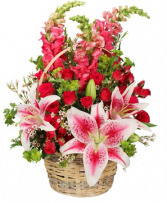 Florist designed arrangements should compliment the meaning desired. Different flower types have meanings. 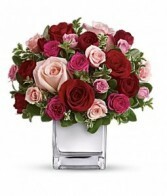 For example, you can gather one valentine's day roses for a co-worker to demonstrate how much you love their hardwork. Valentine's Day is a crazy day to wait until the last minute, but it shouldn't stop you from deciding to send flowers to someone of your choice. Have no fear if you are late, we delivery same-day in the city of Riverside, CA. Place your order during business hours of 9AM-5PM and we will deliver flowers that same-day with no questions asked. 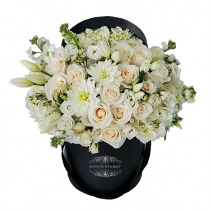 Be sure to visit your address book and give us the correct address and name upon delivery. 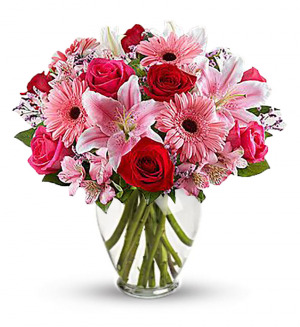 Your Valentine’s Day flowers will always be hand-arranged and hand-delivered by a local florist. Cupid can never run out of arrows when it comes to Valentine's Day. What would he reccomend when it comes to flowers? Let's take a look. If I Order Flowers On The Same-Day as Valentine's Day Will They Be Delivered? The short answer is yes! 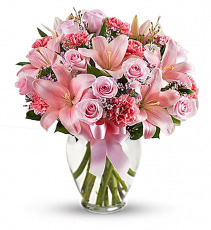 Unless we call you and notify you they will NOT be delivered you should feel comfortable your hand-arranged flower bouquet will arrive. Please be wary of business deliveries. We attempt to deliver all businesses by 3PM. If you are ordering for a business on the same-day we advise you find the home address or verify the time the recipient will stay. That depends entirely on you. Love has no budget, but we do understand bravado and the shock and awe factor desired. Pricing ranges from low to high. We are happy to be part of anything. 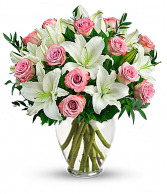 In celebration of Valentine's Day just around the corner, the flower arrangement specialists at the Riverside Bouquet Florist are releasing dozens of beautiful and elegant flower ideas throughout the month of February. So whether you plan on purchasing a gift for a family member, friend or significant other, let Riverside Bouquet Florist guide you in the right direction for this special holiday. Showing how much you love someone shouldn't depend on how much money you have available. 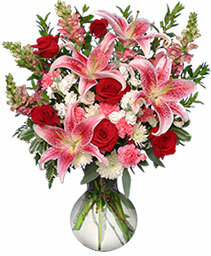 Ask about our affordable flower choices for this upcoming V-day holiday. Our flower technicians would be happy to assist you.